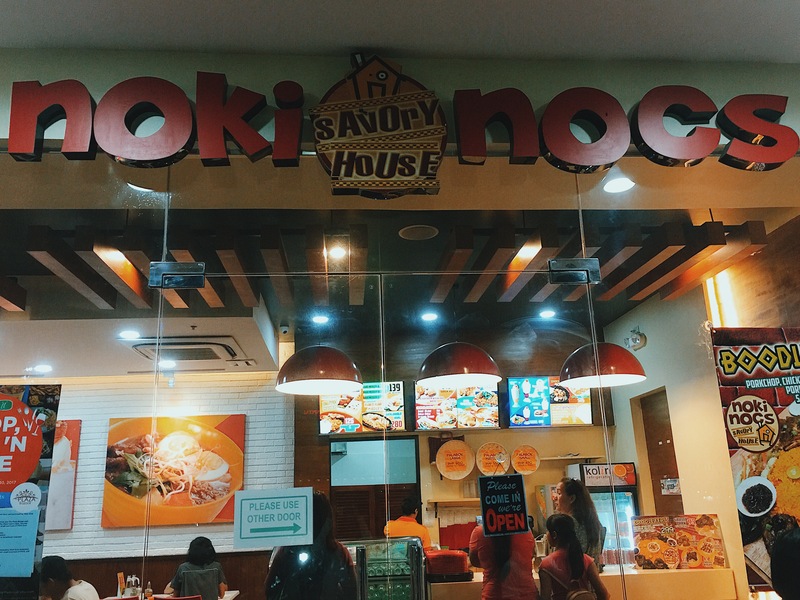 Palawan’s best: Noki Nocs Savory House is finally in Cebu. Of course, piglets as we are, we just didn’t want to miss out on the hype. 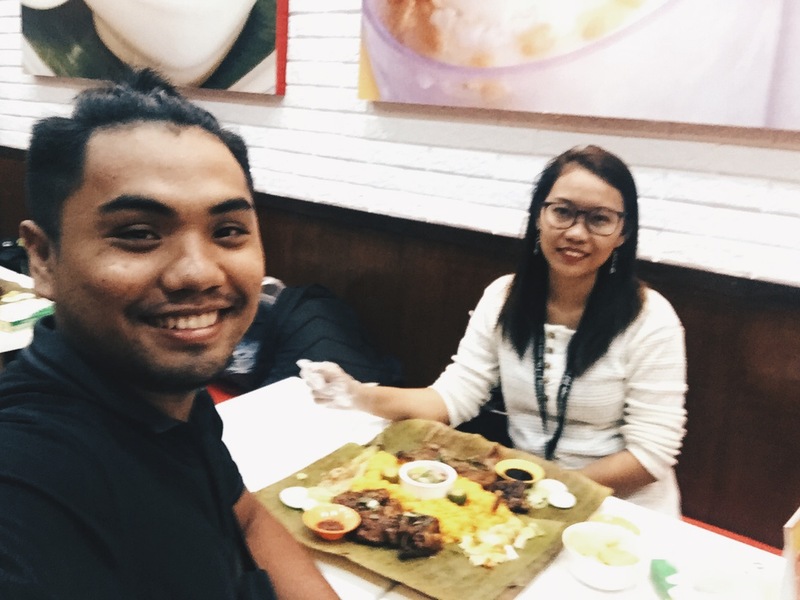 So, as a day late mini celebration for our “monthsary", we decided to go ahead and finally try it out. 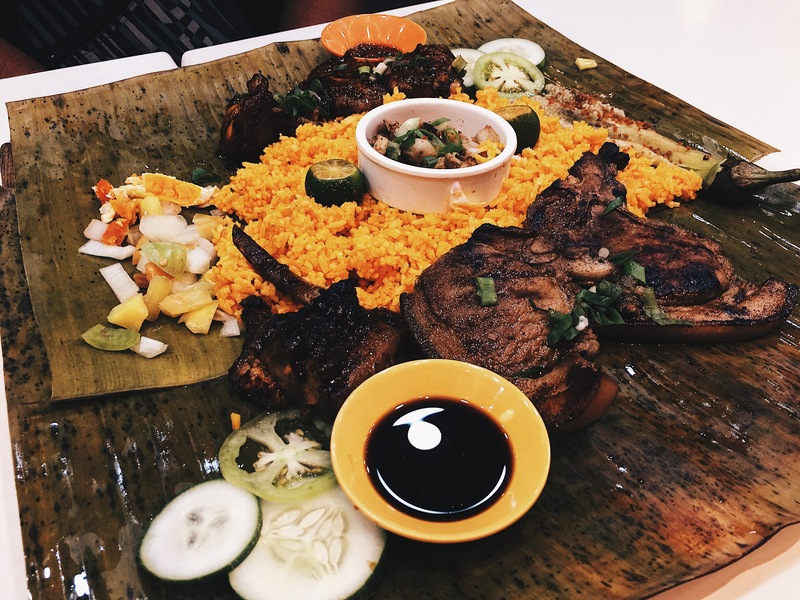 We’ve been eyeing their mouthwatering Boodle Feast since we knew about their launch here in Cebu, plus the photos on social media just make it so much more convincing. In the end, that’s what we settled for, and ordered a pitcher of iced tea which I found a bit pricey but with no regrets! 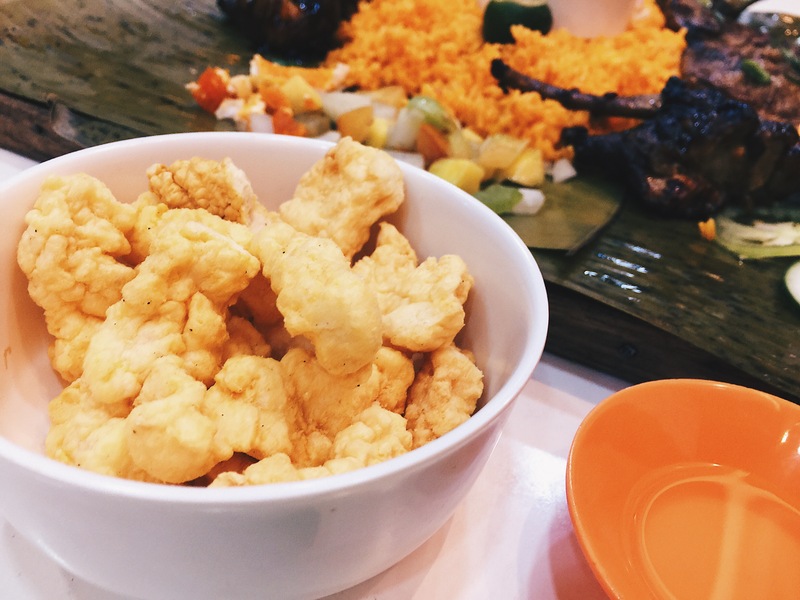 Their Boodle Feast is served with various finger foods as in Boodle Fights. It consists of Porkchop, Chicken Wings, Babyback Ribs, Pork Kinilaw, Grilled Talong, Salted Egg Salad, and Java rice. As an appetizier, they gave us a small bowl of fish crackers which we gladly munched on while waiting for our order. Please excuse our hungry faces. 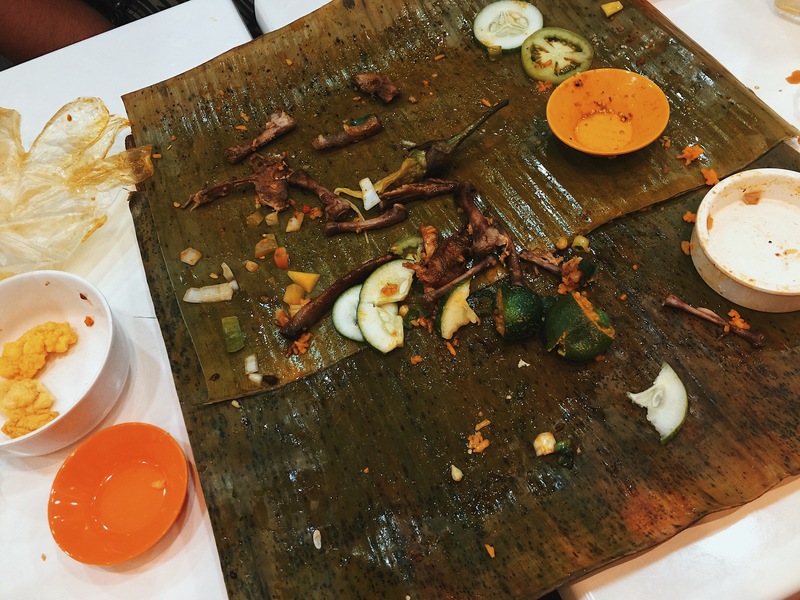 Just FYI, the Boodle Feast is said to be good for 2-3 pax and there were just 2 of us. But, we managed to devour it all in in less than 30 minutes. We even ordered 2 more extra java rice. We savoured every bits and pieces of what was left when we ran out of rice, HAHA! The 299 Php we paid for was all worth it. The only downside during our visit was that the Porkchop wasn't that tender. I munched on everything except the Porkchop. I didn't really want to negatively review them right away though as business as it is, it might just be a bad day for them. Overall, we loved the food, apparently. We really wanted to try out their Palabok and Special Halo-Halo as well, but we were too full then. We’ll definitely try that out next time! Sadly, we haven't :( We were too full na eh. Can't barely move after eating nga eh. Hahaha! 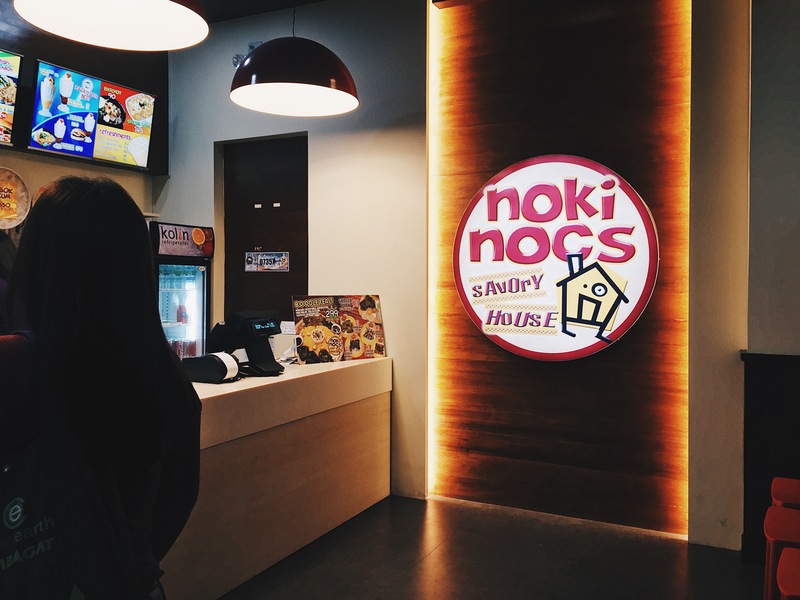 But I'm so happy they decided to open a branch here in Cebu <3 We'll def try the Halo-halo out next time we visit!